How do you build high-performance teams that are destined to grow your business? In our eBook, we share our proven strategy for team building success. If your business isn’t hitting its targets, it could be because your employees are working as individuals, not as a team. In our free eBook, you’ll learn our seven tried and test methods for building teams that work together and deliver results. Fill in a few details and we'll send you your free eBook. Teams are often thrown together with the hope that personalities will gel and they will perform well. Our eBook looks at why this doesn’t work and what you should be doing instead. If you want a high-performance team, you need a strategy for ensuring everyone buys into the team’s purpose and principles. Our eBook explores how this is achieved. Make sure your team’s successes continue to grow with our guide on how to effectively nurture team confidence and belief so they reach the optimum balance between challenge and support. Great teams don’t come together by accident. A lot of time and effort goes into selecting the right people and, most importantly, building an environment where success is inevitable. While this is straightforward on paper, many businesses still struggle to build teams that can reach their potential and deliver exceptional results. 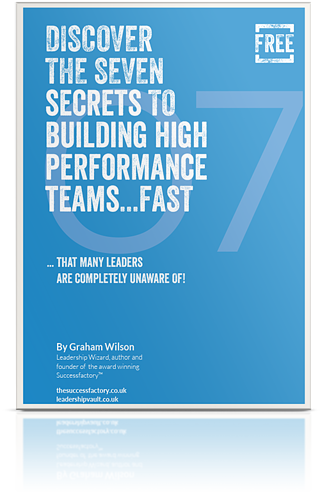 Our free guide, Discover the 7 Secrets to Building High Performance Teams, shares our proven method for creating teams to be proud of.. fast! Download now and start building high performance teams today. In the last few decades, the business world has been transformed by the introduction of new digital technologies. Sadly, leadership approaches have not kept pace with this rate of change, and as such, many business are now failing to achieve their potential. Successfactory was founded by “leadership wizard”, Graham Wilson, with a single mission in mind: to release this untapped potential and drive performance by changing the way organisations are being led. 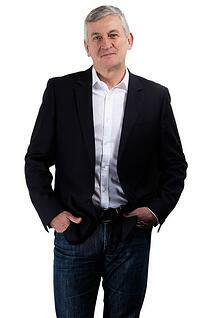 Using decades of experience in business and the military, Graham has developed a proven toolkit of leadership techniques that help businesses across the world create a high-performance environment where success is inevitable. Graham is the best teacher I've come across to develop Project Leadership skills. He takes what can be a complex situation and make it so simple to understand. ChangePro is a really powerful and cost effective way to dramatically increase organisation capability to deliver change quickly and remain competitive. The online training and resources are amazing. I recommend you grab it before your competitors do! Graham provides great insight into project and team performance. He has the ability to guide teams through difficult conversations that lead to improved performance. Graham and I have worked on a number joint ventures - I am so confident about his abilities that I would happily recommend him to help improve project performance. He has honest values and an open mind. He is passionate about making a difference and adding value to the customer. Meet him once and you will know that he is right for you. Good original and creative solutions. Why Do I Need to Fill This Information Out? Don’t worry: it’s our policy to keep your information confidential. In order to improve the experience of our visitors, we ask for this information so we can (a) improve your browsing experience by tailoring the Successfactory site to your needs; (b) share useful content and know-how with you that we think may be of interest to you by email or other means; (c) pass along suitable marketing communications that we think may be of value to you. Where Can I Get More Content Like This? Our resources section has plenty of Successfactory expertise for you to take a look at. You can also get more information and advice on leadership on our blog. Thanks for your interest in Successfactory content. We’re glad we can help you become a better leader. Think we’re missing something essential? Head over to our contact page to let us know what content you want to read about.